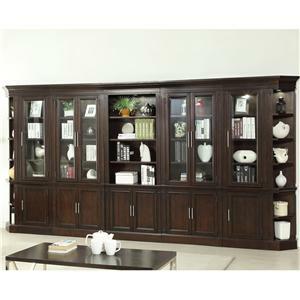 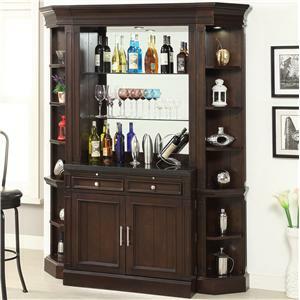 This stunningly traditional wall unit has an amazing amount of storage and display options while still displaying handsome traditional design. 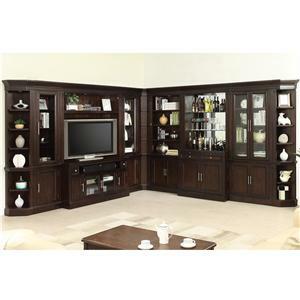 With 33 shelves, 16 Doors, and five drawers, everything will have it's place displayed proudly on this wall unit. 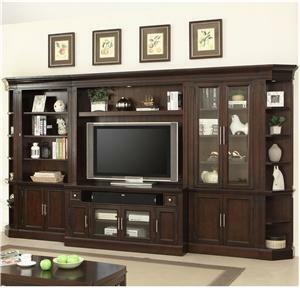 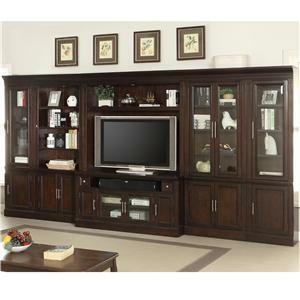 The TV console is the perfect place to set your TV on and gather your family and friends around to enjoy. 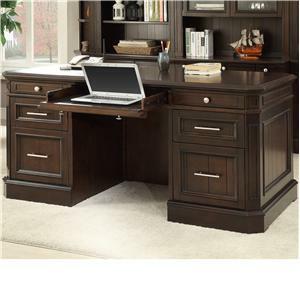 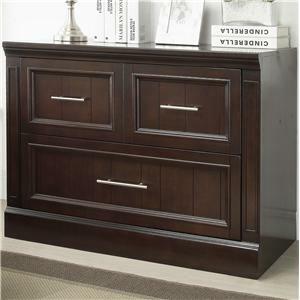 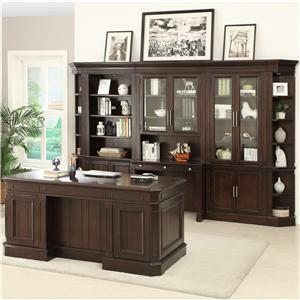 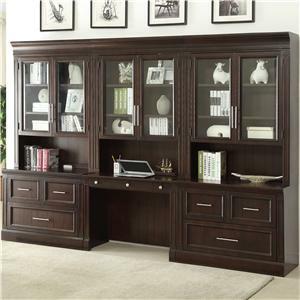 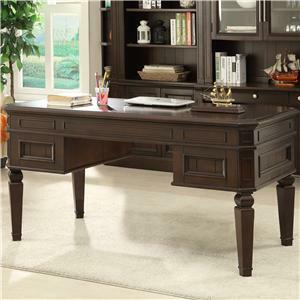 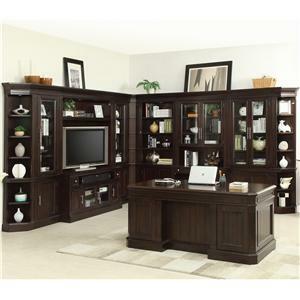 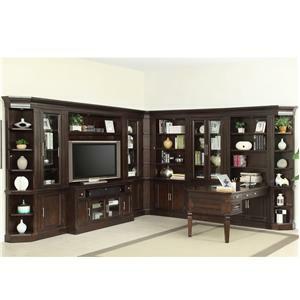 Your home office will be complete with the peninsula desk, ideal for studying or office work. 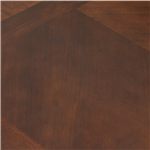 A Light Vintage Sherry finish over the Birch veneers gives it a lovely finishing traditional look that will not go understated in your home. 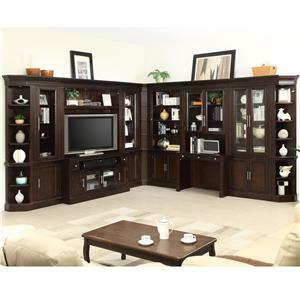 The Stanford Complete Wall Unit with Peninsula Desk and TV Console by Parker House is available in the area from FMG - Local Home Furnishing. 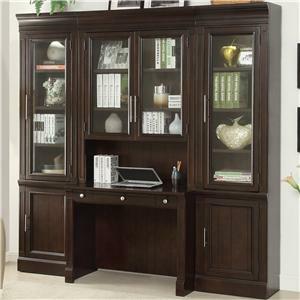 STA#456 Inside Filler Corner 1 7.87" 7.87" 84.25"
STA#430 Open Top Bookcase 2 32.125" 14.62" 84.25"
STA#490 Peninsula Desk 1 32" 67.93" 32"